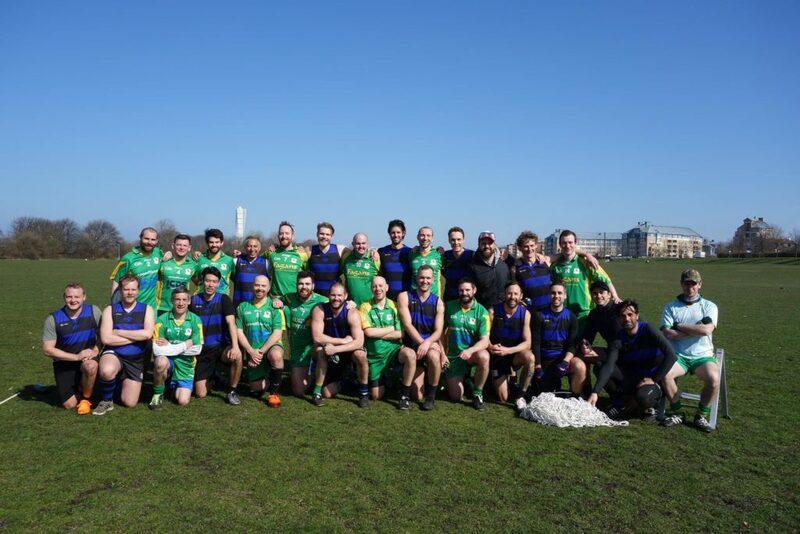 The 2019 outdoor season began in earnest on a beautiful spring morning with the 10th annual International Cup, a mixed rules game contested by Malmö GAA and the Port Malmö Maulers AFL Club. 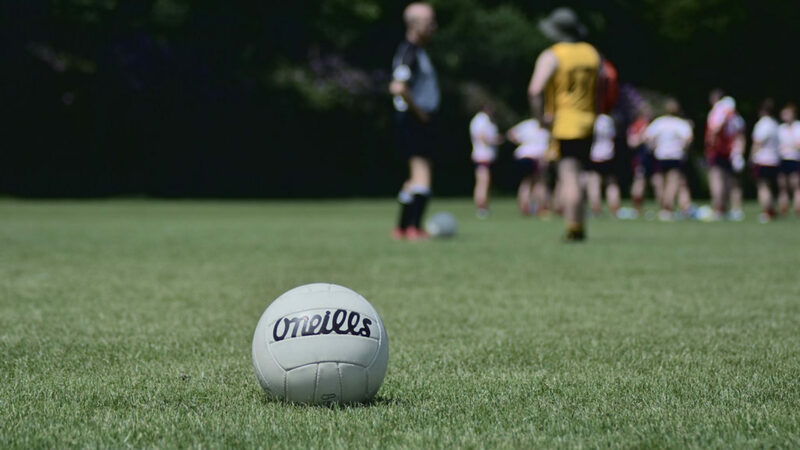 The GAA club, having all previous 9 meetings between the two team, the Maulers were buoyed by the arrival of some new and impressive imports and fully believed that this would be their year. With the throw-in set for 11.15, the Maulers hit the ground running at about 10.45 with a very organised and professional warm up, determined that the cup would be going home with them. Meanwhile, organised as ever, the GAA team started to kick the ball around at about 11.05. All the while, some of their team scrambled to line the field with shoes borrowed from unsuspecting players given the absence of paint, while their team jerseys arrived along with their starting centre back approximately five minutes after the stated throw-in time. The delayed start did little to dampen spirits, however, on such a bright morning. The first quarter started at a fast pace, with the Maulers showing their intent with some early scores. Malmö GAA looked rattled but recovered to lead 12-8 at the end of the first quarter. An early goal to start the second quarter served to settle the GAA club’s nerves and took the wind from the Mauler’s sails. From here, normal service was resumed and the GAA club controlled the quarter, scoring a further goal, two overs and three behinds, compared to just two behinds for the Maulers. At 33-10 to the GAA club, the game was as close as possible to being settled at half time. The third quarter was more of a quiet affair, with both teams struggling to score. Both teams got two overs in the quarter but three behinds for the GAA club stretched their lead with the score at 41-16 entering the last period. While some tempers flared in the final quarter and a couple of nasty injuries forced players off, the scoring pattern continued and the game finished 59-24. All in all, both teams have plenty to work on facing into their respective seasons, while the Aussies will be wondering how they let the game slip away after such a bright start. After the post-game pleasantries, the club barbecue got it’s first dusting down of the year as players, coaches and spectators enjoyed a few cold beers. Plenty of players plan to play both GAA and AFL this year so here’s hoping to more co-operation and more days like these in the future. Photos from the day are available over on our facebook page.